Have you ever sent an email or posted a social media comment you later regretted? Perhaps you inadvertently sent an email or a text to the wrong person, or maybe you tweeted or posted an inappropriate response which resulted in a misunderstanding and hurt feelings. Even if this hasn’t happened to you, there’s a good chance you know or have heard of someone who has suffered the consequences of miscommunication. But, these cyber communication blunders can be minimized or avoided. 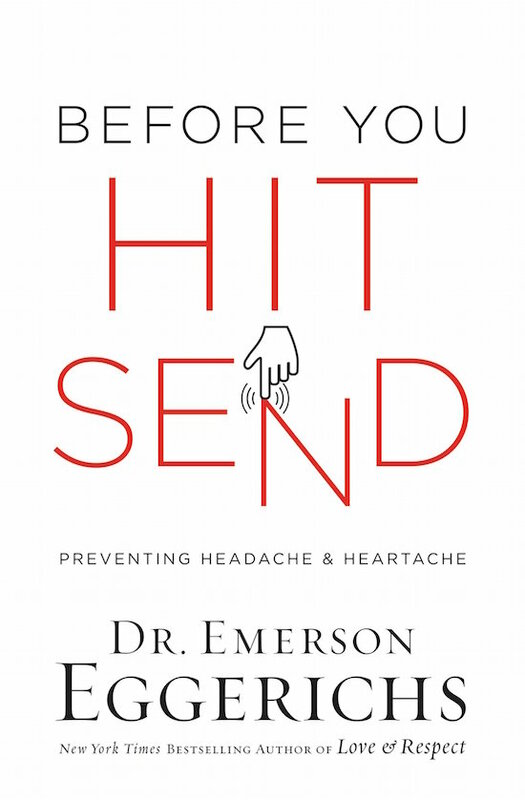 Christian communication expert, Emerson Eggerich offers a way forward in his recently released book, Before You Hit Send. The key, says Eggerich, is that we need to “pause long enough to think before speaking or writing.” Specifically, Eggerich believes we need to stop and ask ourselves four questions in all our communication with others: 1) Is it true? 2) Is it kind? 3) Is it necessary? 4) Is it clear? Drawing extensively from Scripture and professional experience, Eggerich unpacks each question in separate chapters and provides practical suggestions which can be readily applied. As Christians, we are called to not only be good stewards of our time, talent, and resources, we are also called to be good stewards of our words. Jesus said, “I tell you, on the day of judgment people will give account for every careless word they speak, for by your words you will be justified, and by your words you will be condemned” (Matthew 12:36-37). If you desire to improve not only your communication skills, but also the youth you are called to serve, then don’t hesitate in getting a copy of this book. You will not be disappointed.